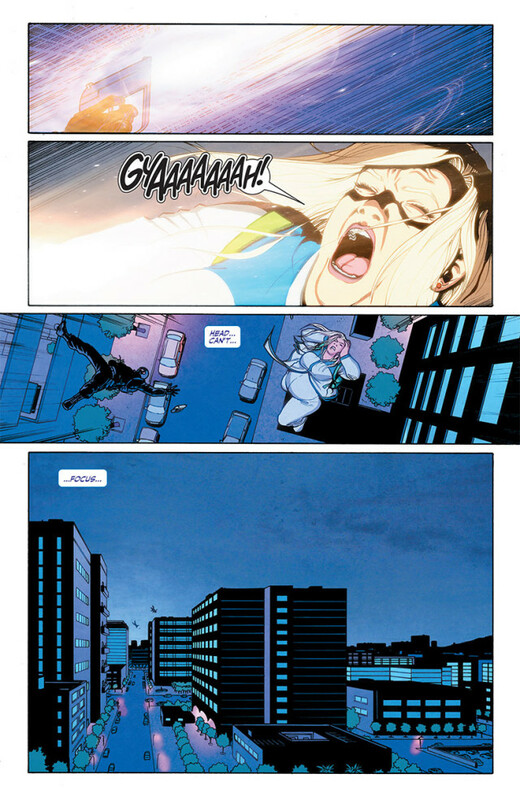 She’s saved the world, made international headlines, and inspired a growing legion of fans… Now, Valiant’s stratosphere-shattering hero is soaring into her next comics landmark: her first-ever ongoing series! As first revealed at the Hollywood Reporter, Valiant is proud to present your first look inside FAITH #1 – the FIRST ISSUE of an ALL-NEW ONGOING SERIES and a colossal comics milestone from rising star Jody Houser (Orphan Black), Harvey Award-nominated sensation Pere Perez (ARCHER & ARMSTRONG) and acclaimed artist Marguerite Sauvage (DC Comics Bombshells)! 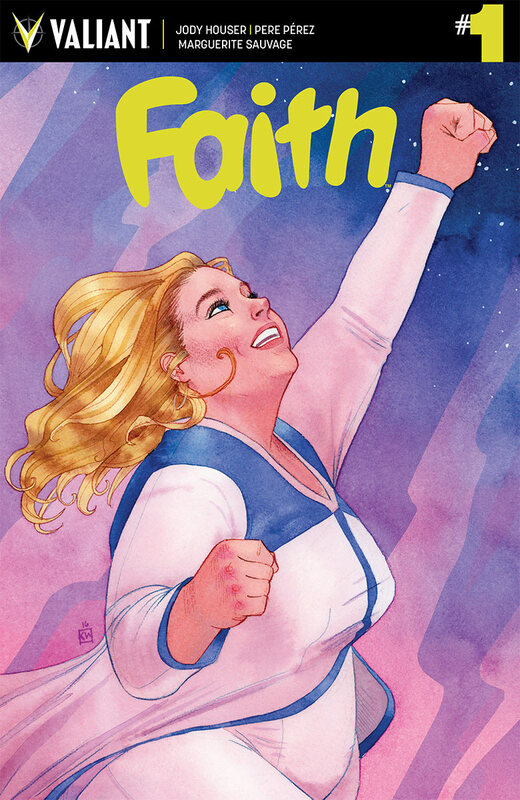 On July 20th, jump on board the high-spirited, high-flying adventures of Faith “Zephyr” Herbert here as she fulfills her dream of becoming Los Angeles’ beloved, number-one superhero…only to slam headfirst into her first arch-nemesis! 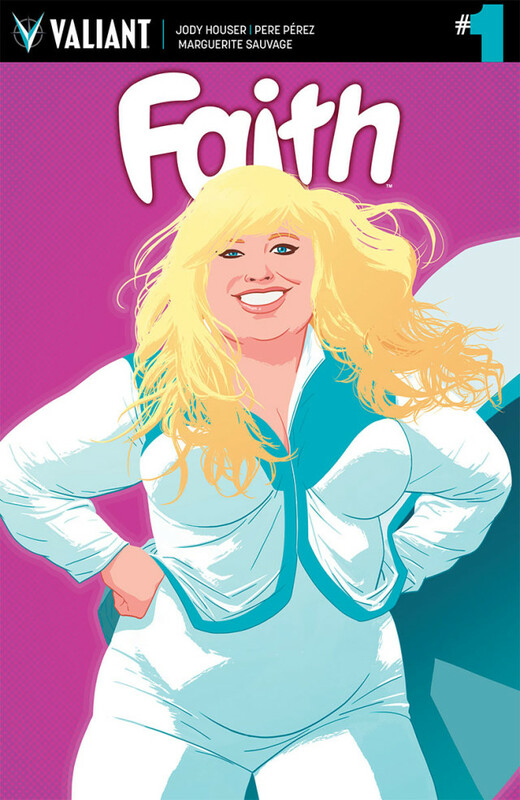 From The Atlantic and Cosmopolitan to The Guardian and The New York Times to People and The Today Show, start reading here to find out why Faith’s ascent into solo superstardom has captured the imagination of the world – and, after five staggering printings of her sold-out limited series, created a unstoppable comics phenomenon like no other! 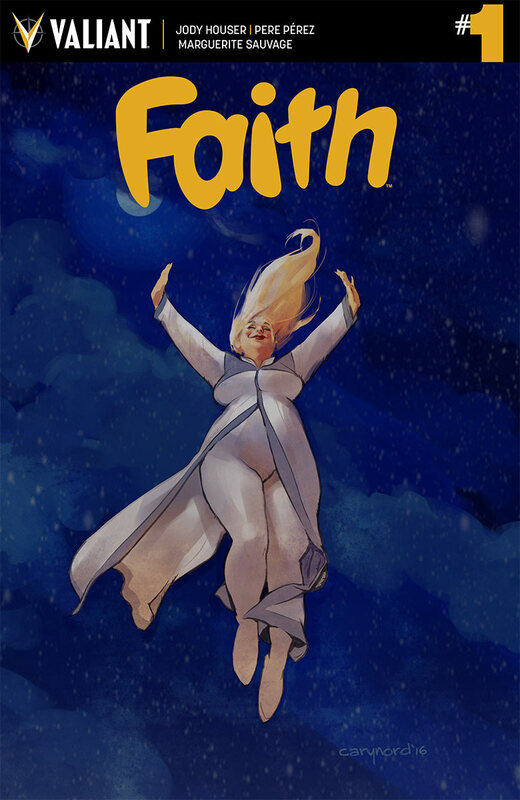 THE FUTURE OF VALIANT starts here on July 20th with the history-making debut of Faith’s first ongoing series, only in FAITH #1 – featuring a stunning slate of covers from Kevin Wada (Scarlet Witch), Jelena Kevic-Djurdjevic (Thor), Eisner Award winner Cary Nord (X-O MANOWAR), Emanuela Lupacchino (ARCHER & ARMSTRONG), Harvey Award nominee Pere Perez (IVAR, TIMEWALKER), Kano (Gotham Central), and Eisner Award winner Colleen Coover (Bandette)! 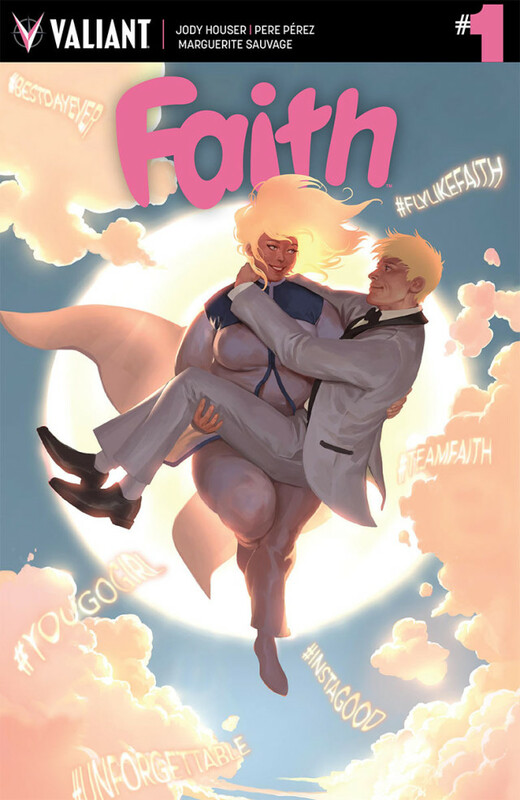 Plus: Don’t miss the stratospheric limited series that first took the world by storm with FAITH VOL. 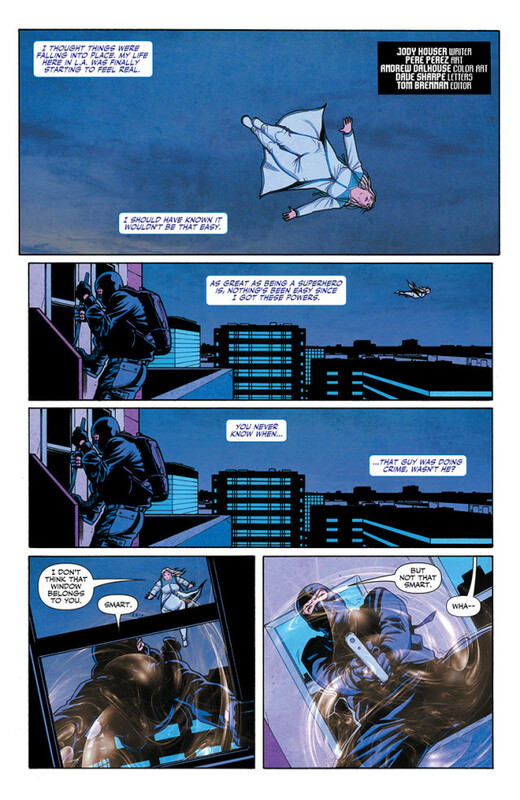 1: HOLLYWOOD & VINE TPB! 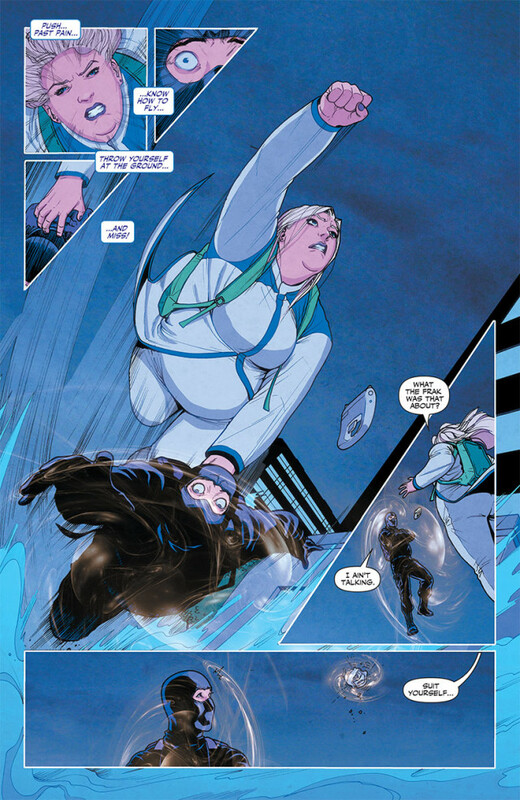 Collecting the five-time sold-out series that rocketed HARBINGER’s heart and soul into comics history, start at the beginning and relive Faith’s first foray as a blogger by day, superhero by night here with rising star Jody Houser (Orphan Black) and explosive artists Francis Portela (Green Lantern) and Marguerite Sauvage (DC Comics Bombshells) – all for the low introductory price of just $9.99!